They didn't have the jump in their legs. They had a tying goal disallowed. Halfway through the third period, they were being shut out. And the Tampa Bay Lightning won. This is the way the season has gone for the Lightning. Even on "one of those nights," even when the ice seems tilted the wrong way, they find a way to win. Again. doesn't seem impressive enough after 44 games, consider this. In its history, the Lightnign has had fewer points in nine of its seasons. 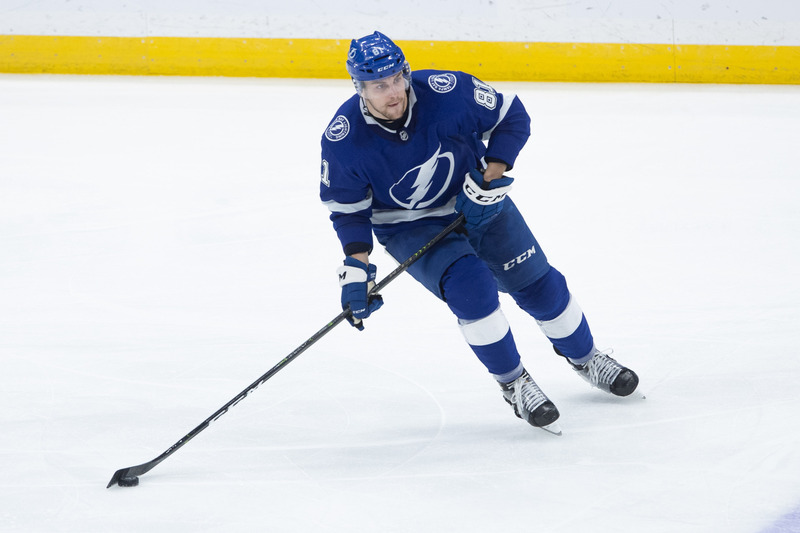 Brayden Point, making a last-second push for the All-Star game, scored two goals and had an assist on their way to victory. Point also had a goal disallowed on an offsides call (away from the puck). Point is now fourth in the NHL in goals scored. 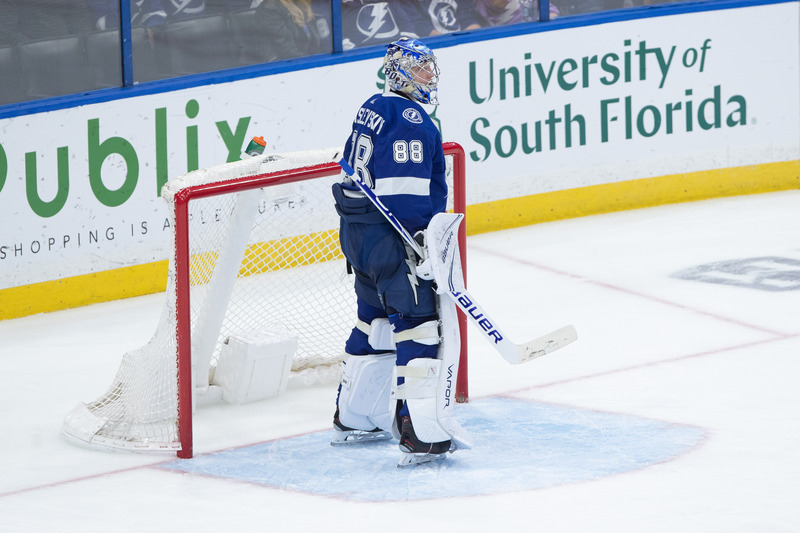 "The replay showing in the arena didn't show the offside, so the crowd starts going nuts," Lightning coach Jon Cooper said. "To be honest, I thought that gave us life and our game really picked up after believe it or not on a non-goal call and an offside. But it was really the crowd that got us into it and we needed something, we needed a little bit of a lift and they helped us out." Goaltender Andrei Vasilevski stopped 26 of 27 shots. In the last two games, Vasilevski has stopped 57 of 58 shots. He is now 9-1-1 since returning from a broken foot. Where would the Lightning have been without Vasilevskiy in the second period. "Probably in trouble," forward Ondrej Palat said. "He's a big part of our success. He's great every game. He's our best player almost every game." The Bolts have salvaged six wins when trailing after two periods this season. Said defenseman Victor Hedman: "We're a resilient group of guys in here, and we want to win every hockey game and win in front of our fans. We've got some guys on this team that step up on these occasions and today was no different, so we're happy with the way we played in the third period with our resiliency and tenacity we had in our game and the way we played. We'll take that with us to Buffalo." Said Palat, who scored the tying goal. "It wasn't our best game, but we found a way again," Palat said. "It's a good team, Carolina, they we're on top of us and hard to play against, but we got our two points." The Lightning go on the road for games, starting Saturday with a game against Buffalo at KeyBank Center. The puck is scheduled to drop at 7 p.m.
What we are seeing with the Lightning this year is truly special. So much talent all over the ice at every position. Every game is a joy to watch. Point should be an All Star for sure. Great all around player and has that extra competitive edge that exceptional players have. The sad thing is that we’ll forget about all things that happened in the regular season once the playoffs arrive. But in the snapshot of the moment, they’re really enjoyable, aren’t they. We agree on your point about Point. I procrastinated until yesterday, but finally got my 10 votes cast for Point for the All Star game. The league hasn’t yet learned that a hard check on him only makes him more determined, and he skate faster! I really do think that, all-around, he’s the best player on the Lightning roster. I know, I know. There is Kucherov and Stamkos and Hedman and Vasilevskiy. But I’d take him first if we were splitting up the squad.